A man was walking through the forest one day when he spotted a tiger in the distance. What was worse, the tiger had spotted him, and because it hadn’t eaten for a day or two, it bounded at great speed after the poor man. Now a human being is no match for a tiger in the speed department, and very soon the hungry beast was so close that the man could almost feel its hot breath on his neck. 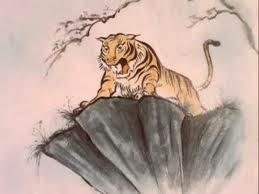 Ahead of him was a cliff, and he had no option but to throw himself down in order to escape the tiger’s salivating jaws. Fortunately, he was able to grab hold of a thick vine which was trailing down the cliff side, and he clung on to it for dear life, congratulating himself on his good fortune. It was a long drop to the ground below, but a sprained ankle was a small price to pay for his life, so he determined to let go of the vine and fall to the ground, but before he could do so, he heard a growl, and, glancing down, he saw another tiger looking hungrily up at him! Up above him was a tiger; down below him was a tiger; both of them wanted to eat him; what could he do? ‘Perhaps one of them will get tired of waiting and move away. If I can just hang on here for an hour or so I should be fine,’ he thought. Then, two mice, one white, one black, came out of a small hole in the cliff side and began to gnaw the vine. The poor man could see that it wouldn’t be long before they had chewed through and he would fall to his certain death into the waiting mouth of the tiger down below. Then, a beautiful smell caught his attention. 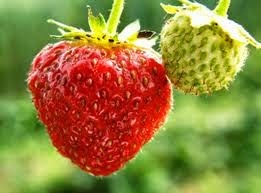 Just near his right hand a big, juicy, wild strawberry was growing. Holding on to the vine with his left hand, he picked the strawberry with his right hand, and popped it into his mouth. It was the most delicious strawberry he had ever eaten in his life! The Society of St. Dismas is one of those very worthy Catholic organisations which attempt to fill the gaps in state provision for the underprivileged. Like the St. Vincent de Paul Society, it is dedicated to the welfare of those neglected members of the community, the ones that people – and governments – often prefer to forget about. But whereas the St. Vincent de Paul Society has a general ministry to the unfortunate, the Society of St. Dismas has a very specific one: it tries to help ex-prisoners, people who are trying to get their life together after spending some time in jail. The man is not named in the Gospel text; he was given the name ‘Dismas’(from a Greek word meaning ‘sunset’ or ‘death’) much later, probably during the 12th century, and the name has stuck. He has his own feast day, 25th March, which is considered by some to be the actual date of the crucifixion, In addition to a name, Dismas has been given a biography of sorts. Legend has it that when Joseph, Mary, and Jesus were fleeing into Egypt to escape King Herod, they were set upon by a band of brigands, one of whom recognised that there was something special about the members of this family and ordered his fellow bandits to leave them alone. This was Dismas, apparently. And, with a coincidence worthy of a Thomas Hardy novel, the next time he met Jesus was when he was crucified beside him. All of which is very charming, but when it comes to scripture it is not without its problems, and these are particularly acute as far as Dismas is concerned. Insisting that this man is a genuine character from history has generated some intriguing theological puzzles. Think about it for a moment. Jesus is promising that this man will be with him in paradise, and yet doesn’t Catholic theology teach us that only the baptised can get to heaven? It’s pretty plainly stated elsewhere in the scriptures: ‘Unless a man is born again of water and the holy spirit, he will not enter the kingdom of heaven.’ But how could Dismas receive baptism? There have been many attempts to solve this particular conundrum. I was taught that there were other kinds of baptism – ‘baptism of desire’, and ‘baptism of blood’ for example. Those who desperately wished for baptism, but who died before they could receive it, would be considered baptised, as would those who were martyred. So, Dismas could presumably come under one or other of these categories. Then there are those who say that Dismas didn’t in fact go to heaven at all, but to Limbo, the place of the unbaptised righteous, but since Limbo was abolished by the pope in 2006, one might legitimately ask where he might be now. And if he only got as far as Limbo he can’t be a real saint, so praying to him could be considered pretty pointless. The person on the cross is you. It is I. It is Everyman, and Everywoman. Crucifixion is not just an archaic and barbaric punishment for a few unfortunate lawbreakers; it is a condition of life. Crucifixion is the perfect metaphor for the human situation because, unlike most types of execution, it delivers a slow, lingering, painful death. 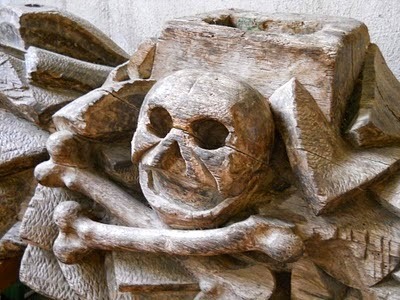 What’s more, it takes place for all of us on Golgotha, Calvary, ‘the place of the skull’ (Golgotha is Aramaic for 'skull', Calvary is 'skull' in Latin) which is itself an image of life stripped down to its skeletal essentials. We are all poised in pain on the cross of life. None escapes, and all attempts to insulate ourselves from life’s pains are fruitless. Even the rich and famous, even the super talented and super beautiful, even the spiritually advanced, suffer the pains of loss, of vulnerability, of mortality. And, just like Jesus, each of us is crucified between two thieves – one on the right and one on the left. The Gospel text may not tell us their names, and the original story, as found in Mark's Gospel doesn't tell us that one of them repented; but the Gospels are clear about their position; and it specifies that they are thieves – not just any old criminals. In Greek they are called δύο λῃστάς, two bandits, men who steal with violence. What do these bandits steal? They steal our life. They are the past and the future, the twin thieves of everyone’s life. The past is on the left, the future on the right. The past consumes us with regret, remorse, revenge, nostalgia, habit; the future eats away at our life with anxiety, uncertainty, procrastination, fear. ‘Life is what happens while you’re making plans,’ said John Lennon, not originally, I might add, but memorably enough. Life is what happens while you are regretting the past and afraid of the future. When, then, is the transformed life? Jesus told the repentant thief: TODAY. ‘I tell you, today, you will be with me in Paradise.’ We enter into the life of promise today. Now. It’s now or never. By destroying, or transforming, those twin thieves of our lives we enter into a whole new way of being, resurrected life, when the tomb which held us fast is broken open, and we discover a new relationship with life, and a new understanding of its pains. This is the consistent message of the world’s spiritual traditions. This is the perennial philosophy. This is what Easter means. The message of Easter is not that once upon a time a single individual’s death paid the price of sin and he was rewarded by having his corpse reanimated. It is, rather, that Everyman and Everywoman can and must wake up from the unlived life and save the world from the corrosive effects of sleep. The story of the literal crucifixion and literal resurrection from physical death of a single human being is biologically impossible, historically implausible, and, in the way that it is often presented, it is morally questionable. But the story of our own resurrection from spiritual death while we are still alive is the most important and liberating message we will ever hear.